All observed data were calculated at each time point; no patients were excluded for repeated-measures analysis of variance whenever 1 or more observations were missing at a certain time point. Error bars indicate 95% confidence intervals and were determined with the use of repeated-measures analysis of variance. The mean scores on the Roland-Morris Disability Questionnaire (score range: 0-23; higher scores indicate worse functional status) did not differ significantly during the entire follow-up period of 52 weeks (P = .11). The visual analog scale has a score range from 0 to 100 mm (higher scores indicate more intense pain). Patients assigned to tubular diskectomy reported more leg pain during the 52 weeks (P = .01). The initial intensity of back pain was less than that of leg pain. Patients treated with tubular diskectomy reported more back pain during the 52 weeks (P = .04). Context Conventional microdiskectomy is the most frequently performed surgery for patients with sciatica due to lumbar disk herniation. Transmuscular tubular diskectomy has been introduced to increase the rate of recovery, although evidence is lacking of its efficacy. Objective To determine outcomes and time to recovery in patients treated with tubular diskectomy compared with conventional microdiskectomy. Design, Setting, and Patients The Sciatica Micro-Endoscopic Diskectomy randomized controlled trial was conducted among 328 patients aged 18 to 70 years who had persistent leg pain (>8 weeks) due to lumbar disk herniations at 7 general hospitals in the Netherlands from January 2005 to October 2006. Patients and observers were blinded during the follow-up, which ended 1 year after final enrollment. Interventions Tubular diskectomy (n = 167) vs conventional microdiskectomy (n = 161). Main Outcome Measures The primary outcome was functional assessment on the Roland-Morris Disability Questionnaire (RDQ) for sciatica (score range: 0-23, with higher scores indicating worse functional status) at 8 weeks and 1 year after randomization. Secondary outcomes were scores on the visual analog scale for leg pain and back pain (score range: 0-100 mm) and patient's self-report of recovery (measured on a Likert 7-point scale). Results Based on intention-to-treat analysis, the mean RDQ score during the first year after surgery was 6.2 (95% confidence interval [CI], 5.6 to 6.8) for tubular diskectomy and 5.4 (95% CI, 4.6 to 6.2) for conventional microdiskectomy (between-group mean difference, 0.8; 95% CI, −0.2 to 1.7). At 8 weeks after surgery, the RDQ mean (SE) score was 5.8 (0.4) for tubular diskectomy and 4.9 (0.5) for conventional microdiskectomy (between-group mean difference, 0.8; 95% CI, −0.4 to 2.1). At 1 year, the RDQ mean (SE) score was 4.7 (0.5) for tubular diskectomy and 3.4 (0.5) for conventional microdiskectomy (between-group mean difference, 1.3; 95% CI, 0.03 to 2.6) in favor of conventional microdiskectomy. On the visual analog scale, the 1-year between-group mean difference in improvement was 4.2 mm (95% CI, 0.9 to 7.5 mm) for leg pain and 3.5 mm (95% CI, 0.1 to 6.9 mm) for back pain in favor of conventional microdiskectomy. At 1 year, 107 of 156 patients (69%) assigned to tubular diskectomy reported a good recovery vs 120 of 151 patients (79%) assigned to conventional microdiskectomy (odds ratio, 0.59 [95% CI, 0.35 to 0.99]; P = .05). Conclusions Use of tubular diskectomy compared with conventional microdiskectomy did not result in a statistically significant improvement in the Roland-Morris Disability Questionnaire score. Tubular diskectomy resulted in less favorable results for patient self-reported leg pain, back pain, and recovery. We conducted a multicenter double-blind randomized trial to determine the outcomes and time to recovery in patients with lumbar disk herniation treated with tubular diskectomy or conventional microdiskectomy. The Sciatica Micro-Endoscopic Diskectomy double-blind randomized controlled trial was conducted at 7 general hospitals in the Netherlands among patients with sciatica due to lumbar disk herniation. Tubular diskectomy and conventional microdiskectomy were compared in a parallel group design. The aim of this study was to determine the effectiveness with regard to pain, functioning, and perceived recovery in patients receiving tubular diskectomy compared with patients receiving conventional microdiskectomy at 8 weeks and 1 year after surgery. Details of the study design have been published.13 The study was approved by the medical ethics committees of each participating center and written informed consent was obtained from all patients. Patients between the ages of 18 and 70 years with sciatica due to lumbar disk herniation, which lasted more than 6 to 8 weeks and was refractory to conservative treatment, were eligible for the study. Patients were selected by the neurologist and referred to the neurosurgeon at the participating hospital. Lumbar disk herniations with distinct nerve root compression were confirmed with magnetic resonance imaging. Patients who had small (<1/3 of spinal canal diameter) disk herniations with doubtful nerve root compression were excluded from the study. Patients with cauda equina syndrome, previous spinal surgery at the same disk level, spondylolisthesis, central canal stenosis, pregnancy, severe somatic or psychiatric diseases, inadequate knowledge of the Dutch language, or emigration planned within 1 year of study inclusion also were excluded. All eligible patients were examined and questioned by an independent researcher. A computer-generated variable block schedule was used for randomization, with patients stratified according to each hospital and research nurse. The block size varied from 4 to 8 patients and was balanced with respect to the treatment, but the actual block size was a random choice. The randomization lists were generated by the trial statistician (R.B.) and the resulting treatment allocations were stored in sealed opaque envelopes. Randomization was performed in the operating room by opening the envelope and patients and observers were blinded to the allocated treatment during the follow-up period. Surgery was scheduled within 4 weeks of the first visit to the hospital. The participating neurosurgeons performed both types of surgical procedures and had broad experience in both techniques. Surgery was performed under general or spinal anesthesia with the patient in the prone position. The relevant disk level was verified fluoroscopically. An equally small midline incision (25-30 mm) was made with both surgical techniques. Conventional microdiskectomy was performed by ipsilateral paravertebral muscle retraction. The herniated disk was removed by the unilateral transflaval approach with the aid of a headlight loupe or microscope magnification, depending on the surgeon's preference (Figure 1; a video showing a tubular diskectomy and a conventional microdiskectomy is available at http://www.jama.com/cgi/content/full/302/2/149/DC1). In case of tubular diskectomy, the skin was retracted laterally and the guidewire and sequential dilators (METRx, Medtronic, Minneapolis, Minnesota) were placed at the inferior aspect of the lamina under fluoroscopic control. A 14- to 18-mm working channel was introduced over the final dilator and attached to the table. The herniated disk was removed through the tubular retractor with microscopic magnification. In both procedures, the herniated portion of the disk was removed. Aggressive subtotal diskectomy was never intended and bony lamina removal was minimal, if necessary. All removed disk material was collected and weighed. The surgeons' findings were documented. Patients were mobilized the day of surgery and discharged as soon as possible. Patients were encouraged to resume their regular activities whenever possible. Secondary outcomes were scores on the 100-mm visual analog scale for leg pain and back pain,15 patient's self-report of recovery measured on the 7-point Likert scale,16 functional and economic scores on the Prolo scale,17 bodily pain and physical functioning scores on the Short Form 36,18 Sciatica Frequency and Bothersomeness Index scores,14 and complication and reoperation rates. These outcomes were documented at 4, 8, 26, and 52 weeks.14,17,18 The patients underwent repeated neurological examinations by the independent research nurses, who observed their own patients at the planned follow-up time points. The purpose of this study was to determine the effectiveness of tubular diskectomy compared with conventional microdiskectomy in the first year after surgery. On the basis of the RDQ score, 150 patients in each treatment group would be required to provide a power of 90% with a 2-tailed significance level of .05 and to detect at least a 4-point difference between scores.14,19,20 Furthermore, 300 patients also would be enough to detect a difference of 8 weeks in median time to recovery, measured by dichotomized self-assessment on the Likert scale as a function of time since randomization. Recovery was defined as complete or nearly complete from symptoms measured on the Likert scale. Data collection and quality checks were performed with the Promise data management system of the Department of Medical Statistics and Bioinformatics of the Leiden University Medical Center, Leiden, the Netherlands. All statistical analyses were performed using SPSS software version 15.0 (SPSS Inc, Chicago, Illinois). Differences between groups at baseline were assessed by comparing means, medians, or percentages, depending on the type of variable. The baseline values of the variables were used as covariates in the main analyses, whenever appropriate, to adjust for possible differences between the randomized groups and to increase the power of the analyses. The outcomes for function and pain were analyzed with a repeated-measures analysis of variance using a first-order autoregressive covariance matrix. The estimated consecutive scores were expressed as means and 95% confidence intervals (CIs). Point-wise estimates and their CIs were obtained by using models with time as a categorical covariate to allow assessment of systematic patterns. Differences between randomization groups were assessed by estimating either the main effect of the treatment or the treatment × time interaction, first as an overall effect (test within the analysis of variance framework) over the 52-week period, thus safeguarding against multiple testing. Individual CIs at various time points are at the 95% level and were not adjusted for multiple testing. P values are provided only for the 8-week and 52-week point estimates because these time points were prespecified in the study protocol. Statistical significance may only be concluded for these 2 time points if the P value is below the Bonferroni boundary of 2.5%. Kaplan-Meier survival analysis was used to estimate time elapsed between randomization and recovery, and curves were compared using the log-rank test. A Cox proportional hazards model was used to compare the rates of recovery by calculation of a hazard ratio. All analyses were performed according to the intention-to-treat principle. At randomization, the study was stratified by (administrative) center. For the purpose of analyzing possible heterogeneity among centers and attempting a clinical interpretation of such heterogeneity, should it exist, those centers that were referring patients to the same hospital and same surgeon for treatment were lumped together. Hence for the analysis of heterogeneity, a center means the actual location where the treatment (according to random allocation) took place. All observed data points were taken into account in the intention-to-treat analyses. The repeated-measures analysis of variance model did not exclude patients when 1 or more observations for that patient were missing at a certain time point. The data were reordered vertically so that the analysis can account for varying the number of observations per patient (as required by the mixed-model approach). The basic underlying assumption in any of these methods is that the missing data are missing at random. Patient observations were not removed due to violation of assumptions or data errors after randomization. Between January 2005 and October 2006, 328 of 402 eligible patients were enrolled in the randomized trial (tubular diskectomy, n = 167; conventional microdiskectomy, n = 161). Three patients were excluded after randomization. Data were available for between 91% and 99% of patients at each of the follow-up time points (Figure 2). Baseline characteristics of the 2 groups were similar (Table 1). Of those patients allocated to the tubular diskectomy group, 2 underwent conversion to an open procedure due to insufficient exposure and a technical problem with the retractor. Two patients in the conventional unilateral microdiskectomy group underwent bilateral muscle dissection because of large paramedian herniated disk and dural tear. The mean duration of surgery was 11 minutes shorter for conventional microdiskectomy (P < .001; Table 2). There was no difference in day of mobilization and mean hospital stay between the 2 groups. The intraoperative complication rate was 12% (n = 20) for the tubular diskectomy group and 8% (n = 13) for the conventional microdiskectomy group (P = .27); dural tear was the most common complication in both groups but the difference was not statistically significant (P = .18). The postoperative complication rate was 11% (n = 19) for the tubular diskectomy group and 9% (n = 14) for the conventional microdiskectomy group (P = .47). At 1 year, the reoperation rate was 10% (n = 17) after tubular diskectomy and 7% (n = 11) after conventional microdiskectomy (P = .33). The reason for repeated surgery was recurrent disk herniation in 71% (n = 20) of the cases. During the entire follow-up period of 52 weeks, the mean RDQ score for tubular diskectomy was 6.2 (95% CI, 5.6 to 6.8) vs 5.4 (95% CI, 4.6 to 6.2) for conventional microdiskectomy. This difference in functional disability was not statistically significant (between-group mean difference, 0.8; 95% CI, −0.2 to 1.7). At 8 weeks, the mean RDQ score was 5.8 (95% CI, 5.0 to 6.6) for tubular diskectomy and 4.9 (95% CI, 3.9 to 5.9) for conventional microdiskectomy. At 52 weeks, the mean RDQ score was 4.7 (95% CI, 3.7 to 5.7) for tubular diskectomy and 3.4 (95% CI, 2.4 to 4.4) for conventional microdiskectomy; this difference was statistically significant and favored conventional microdiskectomy (between-group mean difference, 1.3 [95% CI, 0.03 to 2.6]; Figure 3 and Table 3). The visual analog scale score for leg pain showed improvement in pain in both groups during the first year after surgery. However, patients who underwent conventional microdiskectomy reported less leg pain on the visual analog scale (mean score, 14.1 mm; 95% CI, 11.7-16.5 mm) than those treated with tubular diskectomy (mean score, 18.3 mm; 95% CI, 15.9-20.7 mm) and the difference was statistically significant (between-group mean difference, 4.2 mm; 95% CI, 0.9-7.5 mm). The visual analog scale for back pain showed postoperative improvement in both groups. Patients who underwent conventional microdiskectomy also reported less back pain on the visual analog scale (mean score, 19.7 mm; 95% CI, 17.1-22.3 mm) than those treated with tubular diskectomy (mean score, 23.2 mm; 95% CI, 20.8-25.6 mm) and the difference was statistically significant (between-group mean difference, 3.5 mm [95% CI, 0.1-6.9 mm]; Figure 3). Treatment effects of the primary and secondary outcome measures are shown in Table 3. Cox proportional hazards analysis resulted in similar rates of complete recovery. Estimated univariately by the Kaplan-Meier method, the median time until complete recovery was 2.1 weeks (95% CI, 1.8-2.5 weeks) for the conventional microdiskectomy group and 2.0 weeks (95% CI, 1.6-2.4 weeks) for the tubular diskectomy group. In the Cox proportional hazards framework for the comparison of tubular diskectomy with microdiskectomy, this results in a hazard ratio of 0.92 (95% CI, 0.73-1.17). However, fewer patients who received tubular diskectomy perceived a good recovery at the final evaluation point of 52 weeks (107/156 patients in the tubular diskectomy group [69%] vs 120/151 patients in the conventional microdiskectomy group [79%]; odds ratio, 0.59 [95% CI, 0.35-0.99]; P = .05). The research nurses judged recovery as a good result for 76% of patients (119/156) in the tubular diskectomy group compared with 85% of patients (128/151) in the microdiskectomy group (P = .06), which is a difference of the same magnitude (9%). The formal test on heterogeneity of treatment effects among centers, taking center as a fixed effect in the mixed model, had a P value of .14. Although this is not significant, the center-specific treatment effects are mentioned to allow for assessment of the magnitude of variation between centers, bearing in mind that the study was not powered to detect treatment effects within individual centers. The effects are tabulated by estimating the average outcome in both treatment groups in the 5 different centers where the treatments took place (Table 4). Within-center tests were not performed because this was neither prespecified nor would it be allowed methodologically because the overall test on heterogeneity is not significant. The expected treatment benefit of a faster rate of recovery from sciatica after tubular diskectomy could not be reproduced by this double-blind study. This study revealed evidence that the rates of recovery for the minimally invasive tubular diskectomy and conventional microdiskectomy were similar. In contrast, the overall differences in pain intensity and recovery rates favored the conventional microdiskectomy approach. Worldwide, minimally invasive techniques such as tubular diskectomy have been introduced to speed up recovery. Patients were expected to mobilize more quickly due to reduced postoperative pain associated with the muscle-splitting technique and, consequently, minimally invasive surgery would lead to better results in the short term. In the present trial, however, patients reported that they were fully recovered after a median period of 2 weeks, irrespective of the assigned surgical treatment. Whether the muscle-splitting technique of the tubular retractor system is less invasive than subperiosteal detachment of the muscle from the spinous process can therefore be debated. Patients who underwent tubular diskectomy experienced more back pain compared with patients in the conventional microdiskectomy group. The skin incision was equally small in both procedures, which is in accordance with the observation of Muramatsu et al,19 who showed no difference in postoperative contrast enhancement as a marker of tissue damage between tubular diskectomy and conventional microdiskectomy. The present data on recurrent disk herniation were surprising and unexpected. Patients treated with tubular diskectomy were expected to have higher rates of recurrent disk herniation due to limited surgical exposure with consequent reduced disk removal. However, our study showed that neither the amount of disk material removed nor the rate of recurrent disk herniation was significantly different between the 2 groups. In all cases, as much of the extruded disk was removed as was necessary but aggressive subtotal diskectomy was not intended. Recently it has been demonstrated that patients treated with aggressive diskectomy reported more back and leg pain, although the incidence of recurrent disk herniation is lower than those treated with limited diskectomy.20 The reason why patients treated with tubular diskectomy in our trial experienced more leg and back pain during follow-up remains unclear. Three previous randomized controlled trials have compared tubular diskectomy with conventional microdiskectomy. Righesso et al10 randomized 40 patients and found similar overall outcomes after 2 years. The only statistically significant differences were the size of the skin incision and lengths of hospital stay in favor of tubular diskectomy, and time of surgery and immediate postoperative wound pain in favor of conventional microdiskectomy. Ryang et al11 randomized 60 patients to an open microdiskectomy group and a typical microdiskectomy group, using an 11.5-mm trocar system for the latter group. No significant differences in outcome, operation time, and complication rates were shown. Brock et al12 demonstrated similar results, although postoperative analgetic consumption was less in patients treated with tubular diskectomy. These studies, however, were only powered to detect large effect sizes and data were from a cohort of selected patients. In contrast to our trial, neither of the previous studies were double blinded. The published minimal clinically important differences were 3 to 5 points for scores on the RDQ and 20 to 35 mm on the visual analog scale for pain.14,21,22 In our study, the differences between groups in these outcomes were substantially lower than the required minimal clinically important differences and thus we cannot conclude that one surgical treatment is clinically superior to the other. Possibly, the RDQ is not the ideal tool to differentiate effectiveness between surgical strategies. The present study had limitations that should be mentioned. First, some heterogeneity between the participating centers was shown. Although the test on heterogeneity was not significant, we do mention the center-specific treatment effects so that the order of magnitude of variation between centers can be judged generally. However, our study was not powered to detect treatment effects within individual centers. All participating surgeons had a lot of experience in both surgical procedures and fulfilled the learning curve prior to randomization.23 Therefore, in our opinion, no bias has occurred because the surgical time of tubular diskectomy and complication rate in our study is comparable with other studies of surgeons who have passed through the learning curve as well.24 A detailed subgroup analysis is beyond the scope of this article and will be the subject of future studies. Second, only patients with larger herniated disks and distinct nerve root compression were included, while those with less clear nerve root compression on magnetic resonance imaging were excluded. The latter patients, however, also present themselves for surgery but there is no reason to assume that the results of this study are not valid for these patients. Finally, the time until recovery was determined on the basis of examinations performed only at fixed predefined time points during follow-up. Therefore, the rate of recovery could be underestimated but the 2 groups would be affected in the same way. Our trial provides information about the effects of tubular diskectomy compared with conventional microdiskectomy on disease-specific disability, intensity of leg and back pain, and time to recovery. Although the minimally invasive technique of tubular diskectomy seemed to be an attractive surgical method for treating sciatica, our data do not support a higher rate of recovery when compared with conventional microdiskectomy. On the contrary, patients who underwent tubular diskectomy fared worse with regard to leg and back pain and fewer patients reported complete recovery at 1 year. Corresponding Author: Mark P. Arts, MD, Department of Neurosurgery, Medical Center Haaglanden, Lijnbaan 32, The Hague, 2512 VA Netherlands (m.arts@mchaaglanden.nl). Author Contributions: Dr Arts had full access to all of the data in the study and takes responsibility for the integrity of the data and the accuracy of the data analysis. Study concept and design: Brand, Koes, Peul. Acquisition of data: Arts, Bartels. Analysis and interpretation of data: Arts, Brand, van den Akker, Koes, Bartels, Peul. Drafting of the manuscript: Arts, Bartels. Critical revision of the manuscript for important intellectual content: Arts, Brand, van den Akker, Koes, Bartels, Peul. Statistical analysis: Arts, Brand, van den Akker. Administrative, technical or material support: Arts. Funding/Support: This study was funded by the Dutch Health Care Insurance Board. Role of the Sponsor: The Dutch Health Care Insurance Board did not participate in the design and conduct of the study, in the collection, analysis, and interpretation of the data, or in the preparation, review, or approval of the manuscript. Leiden-The Hague Spine Intervention Prognostic Study Group: Mark Arts (principal investigator), Ronald Brand, Wilbert van den Hout, Elske van den Akker, Bart Koes, Raph Thomeer, Wilco Peul (protocol and steering committee); Ronald Brand (statistical analysis); Marjon Nuyten, Petra Bergman, Gerda Holtkamp, Jaenneke Donkers, Saskia Dukker, Joyce Videler, Annemarie Mast, Lidwien Smakman, Marleen van Iersel, Marina Oosterhuis, Marjolein Scholten, Annette van den Berg, Arjan Nieborg, and Christi Waanders (research nurses and data collection). Enrolling Physicians: Mark Arts, Fred Kloet, Wilco Peul, Rob Walchenbach, Hans Wurzer (Medical Center Haaglanden, the Hague); Rudy Kuiters, Carel Hoffmann (Haga Hospital, the Hague); Ronald Bartels, Tjemme Beems, Pieter Schutte (Canisius Wilhelmina Hospital, Nijmegen); Wee Fu Tan (Medical Center Alkmaar); Alof Dallenga (St Fransiscus Hospital, Rotterdam); Rob Walchenbach (Vlietland Hospital, Schiedam); Fred Kloet (Reinier de Graaf Hospital, Delft). 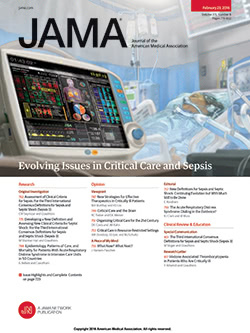 Additional Information: A video showing a tubular diskectomy and a conventional microdiskectomy is available at http://www.jama.com/cgi/content/full/302/2/149/DC1. Additional Contributions: We thank the funders of the Dutch Health Insurance Board, the patients who participated, the recruiting physicians, Gail Bieger, BSc, for reviewing the manuscript, and the research nurses of the Sciatica research team for their work in making this trial possible. Ms Bieger received financial compensation for her work.